House and Senate Democrats will introduce legislation to “restore” net neutrality on Wednesday, House Speaker Nancy Pelosi (D., Calif.) announced in a “dear colleague” letter today. The legislation will “reverse the disastrous repeal by Trump’s Federal Communications Commission (FCC) in late 2017 of the critical net neutrality protections,” Speaker Pelosi announced today. 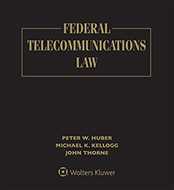 The 2017 order changed the regulatory classification of broadband Internet access service from a telecommunications service to an information service, reversing an action taken by Democratic majority FCC in 2015, as well as eliminating most of the net neutrality rules adopted in 2015. The Save the Internet Act will be unveiled at a joint event at 11:15 a.m. in the Rayburn Room of the U.S. Capitol, Speaker Pelosi said. The Republican-controlled Senate passed a Congressional Review Act resolution disapproving of the FCC’s December 2017 restoring Internet freedom (RIF) action last year with Republican Sens. Susan Collins (Maine), John Kennedy (La. ), and Lisa Murkowski (Alaska) joining Democrats in support of the resolution (TR Daily, May 16, 2018). Rep. Mike Doyle (D., Pa.) proposed a CRA resolution on the RIF order last year, but it never received a floor vote in the then Republican-controlled House.